The National Working Committee (NWC) of the Peoples Democratic Party (PDP) has rejected the nominee that was picked to replace Moshood Salvador, the immediate past chairman of the party in Lagos State. Salvador defected to the All Progressives Congress (APC) last week Monday. Leaders of the party in the state led by Bode George had settled for Dr. Adegbola Dominic to replace Salvador. Dominic, a medical practitioner, who was a governorship aspirant of the party in the 2015 election, contested the state chairmanship election with Salvador in 2017 and came second. Bounce News gathered a letter containing the decision of the party leaders led by George to appoint Dominic as replacement for Salvador was sent to the national headquarters of the party in Abuja on Tuesday, August 28. 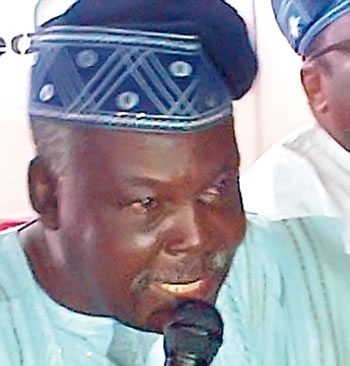 However, to the shock of PDP supporters in Lagos, the national leadership of the party, in a letter dated Wednesday, August 29, announced the choice of Waliu Ibrahim as the Acting State Chairman of the party. Ibrahim was deputy to Salvador and, according to the letter signed by Sen. Umaru Ibrahim Tsauri, the National Secretary is to serve as the acting chairman for 90 days. “In the event of resignation, removal, death, incapacitation, or absence of the Chairman, the Deputy Chairman shall assume office as chairman in acting capacity without prejudice to section 47 (6) of this constitution.